← Sunday 13th July 2014 – Box Hill is a long, long climb!! 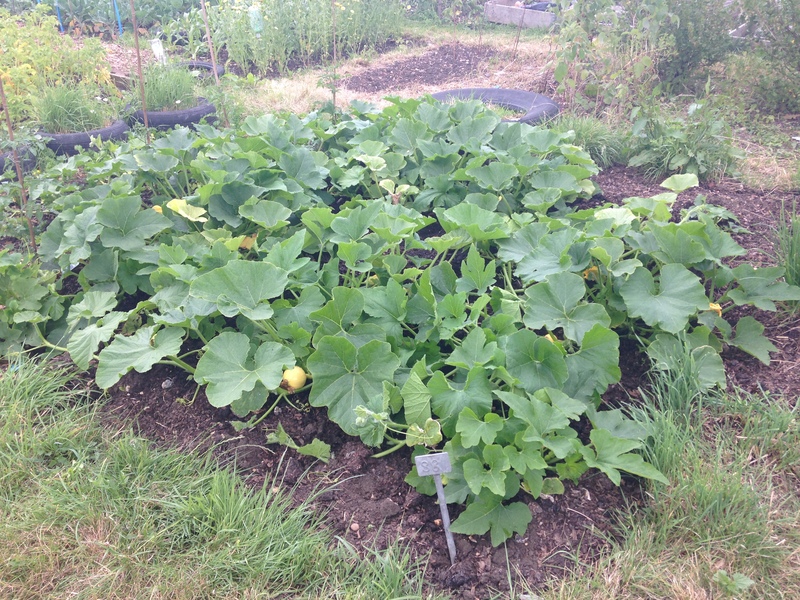 Tuesday 15th July 2014 – Pumpkins are very happy. I’ve not seen my allotment for several days now because of various things (work, a busy weekend, and a poorly hubby), and I think it missed me. I missed it. Still I’m please to report that it’s been behaving itself well, and all the plants, even the weeds, are growing well. I started back at the beginning again today weeding and watering, and managed to do just over a quarter of my area, so that was good. 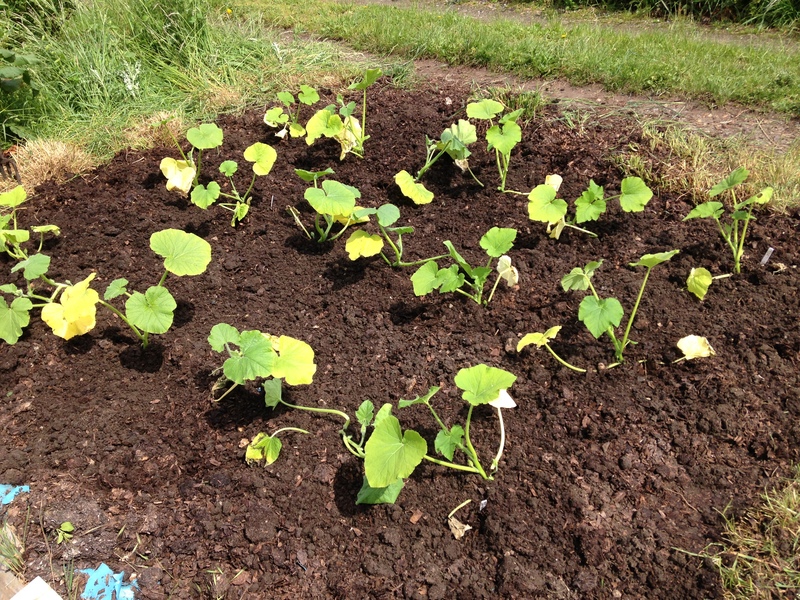 The Pumpkins are growing very well. When I first planted them out, my they’ve grown!! They seem to have really taken over the bed that I planted them in, which is exactly what I wanted them to do. I have loads of little Pumpkins growing, some the size of golf balls, and others the size of a grapefruit. Keep growing my babies and give me a huge massive one this year. I know that size isn’t everything, but it is when it comes to Pumpkins!! It’s getting very humid at the moment and it’s supposed to get more humid and hotter as the week goes on. Apparently we may hit 30 by Friday!! Then it’ll all end with bangs and crashes as storms move across the UK. This usually happens, but it’s a good thing, we’ve not had a good storm for ages. At temperatures like this you can’t stay down the allotment for long or do anything too strenuous, and loads of water, sun cream and a hat is needed. Some of my potatoes are ready to come up in about a weeks time, so I’ll dig them up as and when we need them. Also I think I need to pick some more Rhubarb tomorrow, I’m sure I’ll find some takers for it at bell ringing, as I’ve still got some in the freezer from last year. Well that’s it’s for today, just got to water the garden with last nights bath water and then maybe a potter to do some dead heading. Oh, and just incase you’re wondering, Mark is now better, but not completely recovered. I think it was some sort of virus, it put him out for a couple of days poor chap. I hope I don’t get it, I’ve got a very busy weekend (no surprise there). 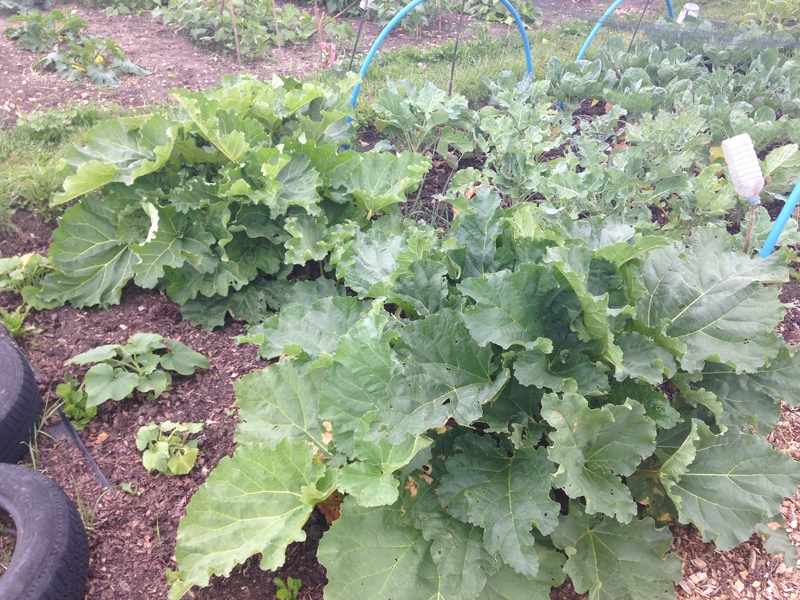 This entry was posted in Uncategorized and tagged Atlantic Giant, claire's allotment, potatoes, pumpkins, rhubarb. Bookmark the permalink.